You’ve thought about it for a while and discussed it with all your other family members. You’ve decided to bring a dog into your home and everyone has his or her favourite pet name ready! Choosing a dog breed that will best suit your lifestyle is the next step. Take time to do your research the. The average lifespan of a dog is between 10 and 15 years – this is a long-term decision that will affect your time, energy, heart, and pocketbook! Some decisions about choosing a dog breed can seem to be counter-intuitive. Small dogs, for example, obviously fit into small spaces, weigh little, and are easy to transport. You might therefore reason that a small dog is well suited to an apartment or urban style of living. But some of these dogs (like the Chihuahua, for example) may tend to bark at everything, from dust bunnies to people knocking at the door, and can be very, very excitable, with boundless energy. If you live in a small space with neighbours close by, and are at work for long hours, a small dog may not necessarily be your best option. The smarter the dog, the better for you and your family, right? A smart dog, like a Border Collie, needs constant stimulation, challenge, and exercise; otherwise it may become frustrated and neurotic, and begin to develop behaviour problems. This breed is also not recommended for families with young children, as a herding dog can be bossy, independent, and may try to nip or bite (herding instinct). If you don’t have daily chores or jobs for a smart dog to undertake, you should probably choose a dog breed that needs less exercise and values snooze time more. Do you want a dog who loves you lots? Of course you do. But sometimes love is confused with loyalty – dogs who require lots of love, like a Bichon Frisé, can become needy, dependent, and jealous, and get pretty upset if you are not there to adore them. 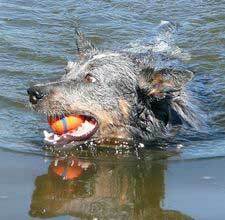 Start with some basic questions: What size, skills, and temperament do I need in my dog? 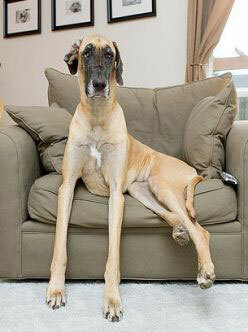 Determine whether you want a Toy Poodle to fit into your purse, or a Great Dane to share the couch with. Does your farm need a Collie to herd cattle or do you need a Golden Retriever to go fishing with on the weekend? Do you need a German Shepherd to guard your house? Would your children love a gentle, happy little Beagle? Web sites such as The Canadian Kennel Club and The American Kennel Club, offer excellent information and pictures on breeds and breed standards. For a different set of criteria, and especially if you are a novice owner, you might find the groupings listed here, at The Canine Information Library, an easier starting point. These groupings are organized by more modern and day-to-day standards (size, temperament, lifestyle, etc.) rather than original breeding purposes (hunting, herding, guarding, etc.). How much time can I devote to the care of my dog (exercise and grooming)? If purchasing a pet for a family, is my chosen breed recommended for children (especially young children)? Even if my children promise to clean up and exercise our pet, am I prepared to step in if they don’t? Do I love being active and in the outdoors as much as possible, or would I rather curl up with a good book by the fire? How much money can I devote to my pet for food, medical care, and grooming? Are there allergy sufferers at home? Consider the breed’s characteristics carefully. There are naturally exuberant and energetic dogs, which require wide open spaces to run and frolic in. Other dogs shine as the centre of a loving family, caring for and playing with children, happily enduring well-meaning tugs-on-tails and slightly-too-tight hugs around the neck. Still other dogs turn their noses up at children, and demand their sole pedestals as “king dog” of the house. 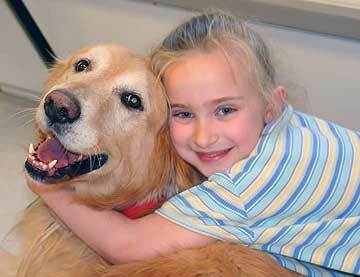 Some dogs have gentle, nourishing natures and love to serve as therapy, “seeing eye”, or special needs dogs. Long-haired dogs have coats that tangle, matt, and shed a lot, and require constant attention and grooming, while short-haired varieties shed less and require less frequent brushing. While it’s important to like what a breed looks like, you must equally consider its instinctive behaviour. An English Foxhound, a hunting dog, needs to chase prey in order to be happy! A working dog, like a Malamute, will go stir crazy if left alone all day in a small city apartment with nothing to do. Some dogs (terriers, for example) love to dig, dig, dig, and may frustrate an owner by ruining her garden. Other dogs are bred to bray, like the Rhodesian Ridgeback, and may howl at the moon, the sun, the neighbours, and the postman, and wouldn’t be suitable in a city environment! Purebred dogs versus mixed breeds. All dogs (from the Bernese Mountain Dog to the tea cup size Yorkshire Terrier) are believed to be descendants of the gray wolf, Canis lupus (subspecies still under debate in the scientific community), and are thought to have become domesticated approximately 15,000 years ago! A purebred dog’s ancestry (pedigree) can be traced in a documented stud book which is registered with one of the major dog registries. Whether by inbreeding from the same ancestral line, or by mixing lineage, these dogs possess a set of similar inherited characteristics based on function or genetics, which distinguish them from other dogs. There is the potential for genetic weaknesses and diseases to be handed down due to inbreeding. A mixed breed dog will have qualities of each breed. The dog may not possess the full appearance or skill set you are looking for due to a mixing of the breeds. A pedigreed animal from a reputable breeder will be the most expensive dog, followed by a purebred without papers, and finally the mixed breed. About 25% of dogs found in animal shelters are purebreds. Once you have decided on your favourite breed, consider first looking in a shelter for your new pet. Try a breed selector tool. Many websites offer cool tools for choosing a dog breed – questionnaires geared to helping you narrow down your search for the perfect pooch. Questions include how big a dog you want, your living accommodations, finances, available time, allergies, and whether or not you have children. Offers an excellent questionnaire, with the option of a sliding scale of how important each particular question was (rather than just “yes” or “no”). This site asks 10 questions, and with each question shows pictures of 8 dogs fitting the characteristics up to that question. This way you can see which breed lacks a particular characteristic without having to cross-reference all the breeds. Good Housekeeping’s Which Dog Is Right For You? I owned a mixed breed dog, part Golden Retriever, part German Shepherd. For me, this was my perfect pet, yet neither breed appeared in my top selections suggested by the online tools. My friends said that they received better results, with breeds they loved or already owned suggested for them. Remember that these selector tools are just guidelines! You should further research your favourite breeds by contacting reputable breeders, who can offer their expertise in matching you and your family to your new best pal. Attend some purebred dog shows and talk to the dog handlers, breeders, and dog-lovers there. Try Western Dog Shows, and BC Dog Show Services, and Canuck Dogs for information on dog show schedules and locations. Go to a dog park and watch the dogs. A natural setting may offer insight into how a breed normally behaves. Ask yourself which dogs you like and why. Talk to the owners and find out whether they are enjoying their pets. Watch how a dog interacts with other dogs and with other pet owners. Is the dog territorial? Does the dog bark at everyone, or will it leave with the first person with a treat? 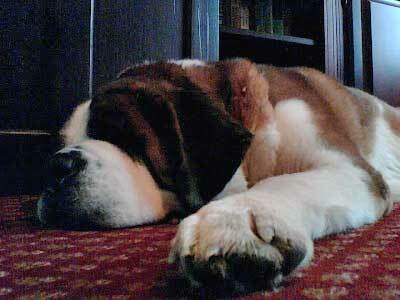 Determine whether the physical size of a grown dog will be too much for you to handle. If your breed has the potential of becoming easily bored or willful, can you take charge? When you do choose a dog breed, remember that dogs learn very quickly by watching you. They will depend on you for all their needs for their entire lives. Providing them with rules, exercise, and affection will ensure a lifetime of devotion and companionship, with humans and animals enjoying healthy and loving relationships.